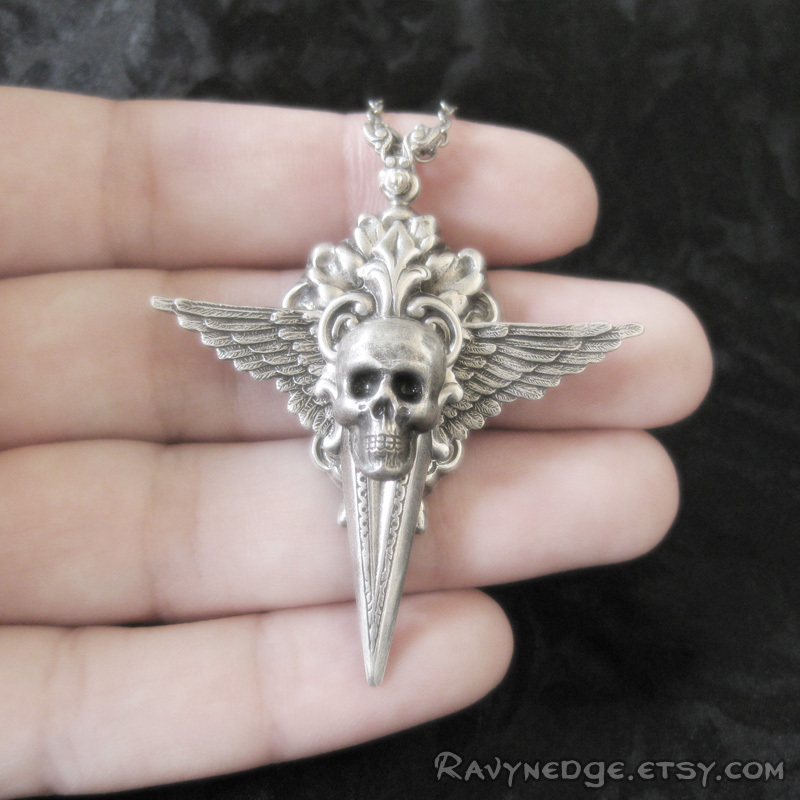 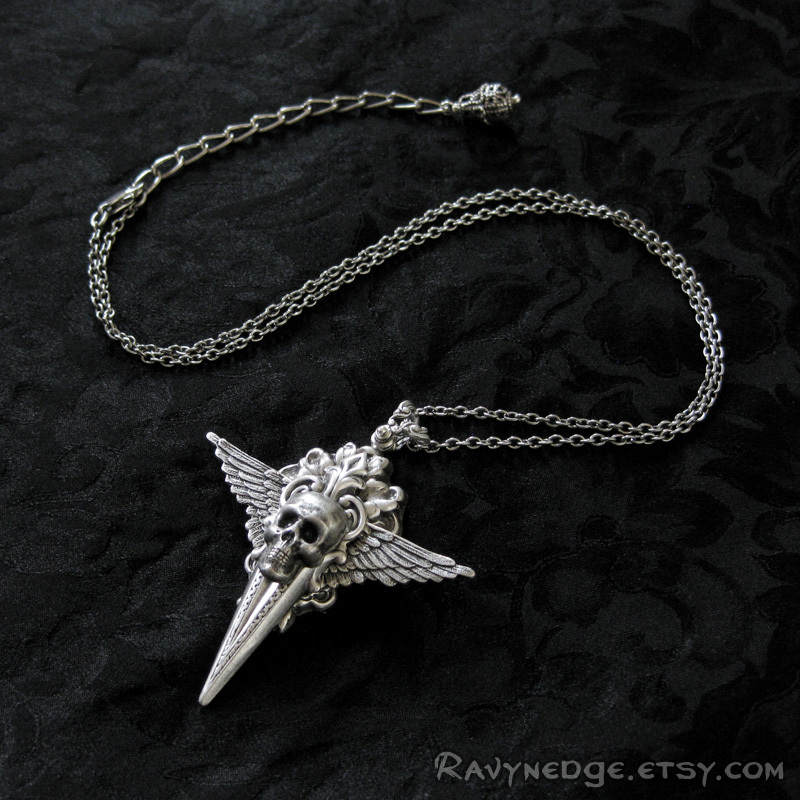 Beyond The Veil of Death Necklace - Silver Skull and Winged Pendant by RavynEdge. 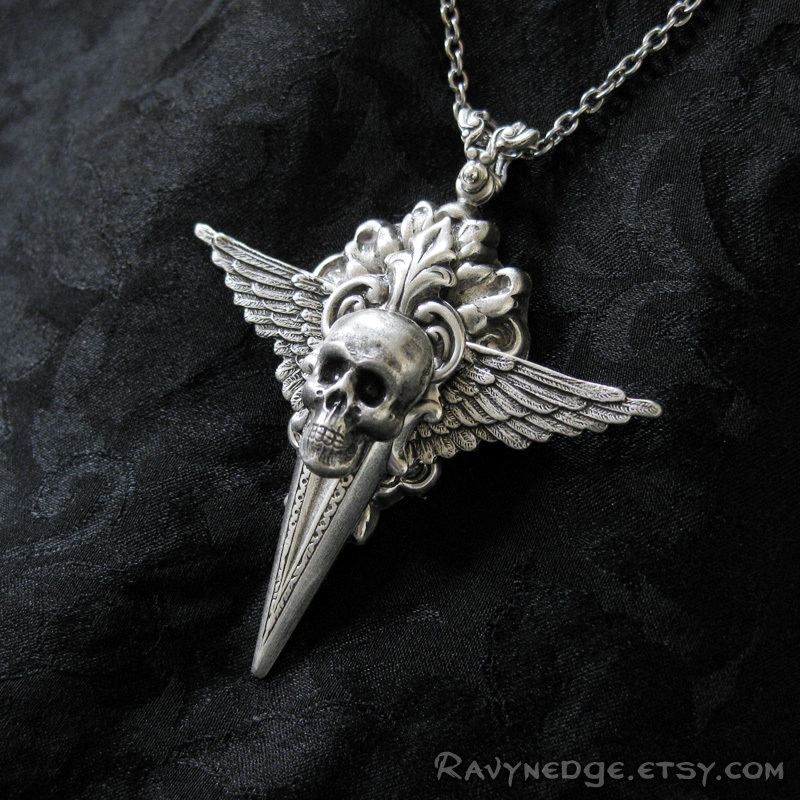 "Beyond the Veil of Death" is a modest pendant perfect for adding a touch of morbidity to any outfit. 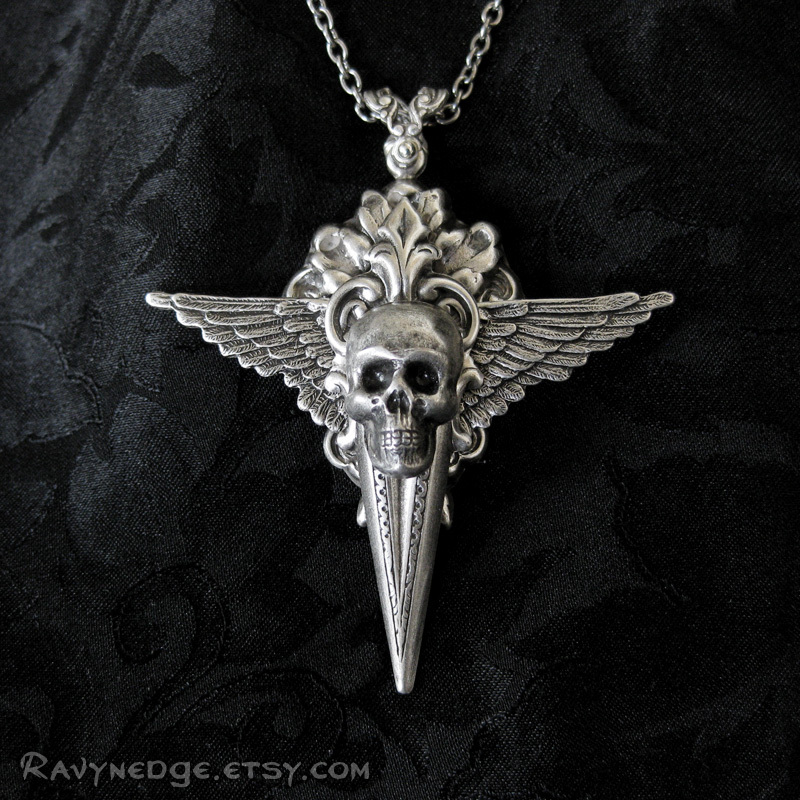 Wear it alone or layer it with other necklaces. 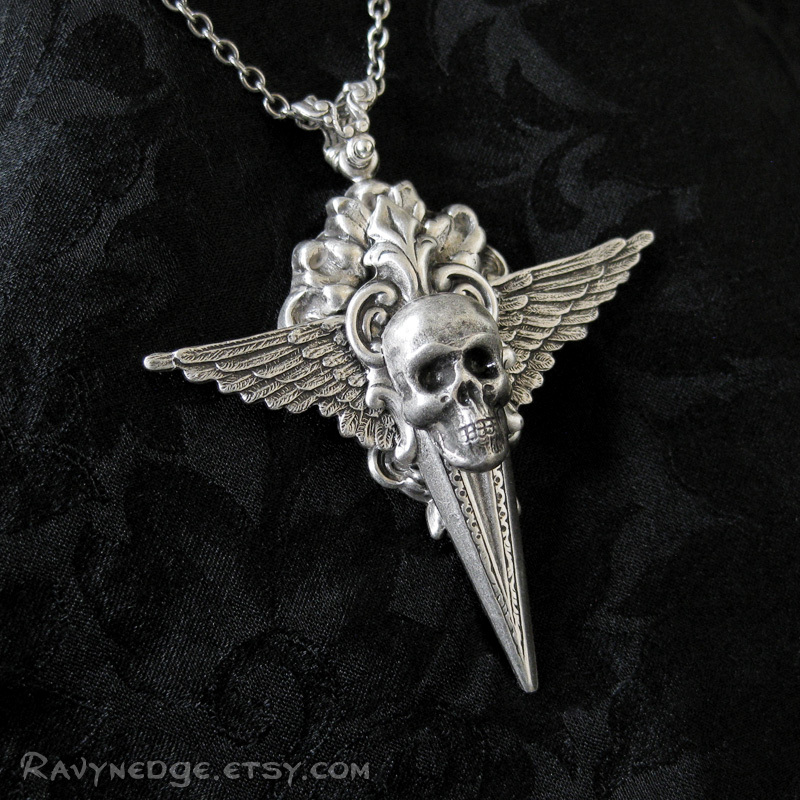 Made of sterling silver plated brass filigree, oxidized to bring out the exquisite details.